Securitysolutionswatch.com: Thank you for joining us today. Can you tell us what your role is at G4S? Rachelle Loyear: I am the Vice President of the Integrated Security Solutions Management Office. What that means is that I lead the team responsible for our establishing the G4S Security Risk Management Model and the associated business development and operational management approaches, as well as our G4S Integrated Practices. 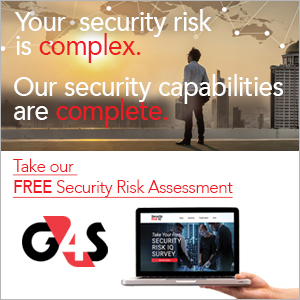 Securitysolutionswatch.com: G4S is the largest security company in the world, and has been undergoing a bit of a transformation. Can you tell us about the new strategy G4S is implementing? About three years ago, G4S in the Americas started focusing on how we can bring the most value to our customers by ensuring we look at their needs from a perspective of holistically managing their security risks, not merely “selling a product.” From that initial focus, we have built out our G4 operational management approaches across the business units, as well as our G4S Integrated Practices. That approach ensures we truly understand our customer’s organization - the resources they need to protect, the risks those resources are exposed to, and the level of risk the organization is willing to tolerate - before we attempt to suggest any security services or products. It’s an approach that makes both security sense and business sense, because we recognize that our security partners in every organization we work with need to work within the structure of their business. We use our approach to support our customer’s overall business needs, by using security tactics to enable the ongoing capacity of the business to complete its primary mission. We’ve also developed three fully integrated practices to meet our customers’ needs to ensure an efficient use of their security budget to mitigate their security risks in alignment with their organization’s tolerance for those risks. These practices - the G4S Lobby Experience, the G4S SOC (Security Operations Center) Practice, and the G4S Security Efficiency Practice are all focused on using our security expertise to develop customized recommendations for our business partners. We focus on the needs of our customers to mitigate risk, and do so in the most cost-effective way possible, through integration of humans and technology and using each type of product or service where it makes the most business sense. Securitysolutionswatch.com: That is an interesting approach. Can you expand on that? Rachelle Loyear: The Efficiency Practice is designed to take a complete look at our customer’s security program, whether it’s G4S implemented or not, and examine every aspect of that program so that we can find areas where the optimal mix of human and technology resources can either reduce security costs while not impacting the customer’s security risk exposure, or, improve the customer’s security risk profile while leaving costs level. The Lobby Experience practice is designed for customers who want to ensure the experience of passing through their lobbies is efficient and secure for employees and guests, while also aligning it with a level of excellence expected from their brand. Our G4S Lobby Experience combines highly trained personnel with a special emphasis on high-end customer service, with technologies that can automate visitor check-in and visitor management. It’s all about augmenting the personal touch with the speed of automation to provide a sophisticated, streamlined process in the lobby. Finally, our SOC Practice leverages our deep expertise of designing, building and managing SOCs based on our customer’s vision of how their Security Operations Centers could function if it had systems, technology, and personnel perfectly aligned with the needs of their particular organization. From that vision, we can create a detailed design and manage and upgrade a new build, then staff and manage the SOC. Or we can take the vision and host all aspects of the SOC from our dedicated remote SOC in Jupiter, Florida. All options are completely aligned to the desires of our customers. Securitysolutionswatch.com: How will this help customers? Rachelle Loyear: When we take a risk-based approach to their security programs, our customers benefit by gaining a holistic view of how any of our recommendations and resolutions impact their entire security risk profile. Because we look at all the potentially impacted resources and their risk exposures, we can make a clear business case for how the costs of any security risk mitigation activity functions to protect the organization as a whole. Our approach frames the conversation in the language of risk management and business, enabling our customers to tell the full story to their company executives and internal business partners. The company understands more about why the security program is in place, and the security leader is in a more proactive and protective position, rather than a reactive position. Additionally, when we augment the human side of the program with technology, we make those people more efficient, and when we augment technology applications with a human face, we are making those technology solutions more user-friendly for the customer’s employees and guests, thereby engaging them more deeply in the security culture. Together, the technology plus staff approach brings the best of both worlds to our customers’ security risk management program. Securitysolutionswatch.com: What has the customer feedback been so far? 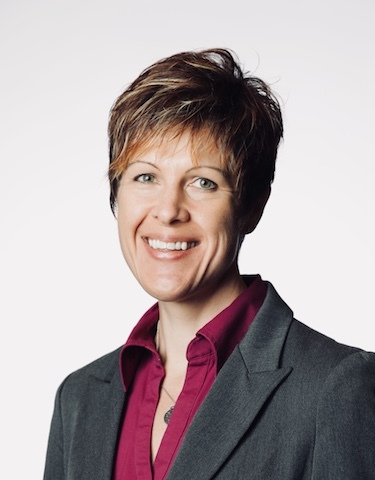 Rachelle Loyear: Our customers appreciate that we can help them be more efficient with their security spend by combining technology, concierge-level staffing, and our unique approach of ensuring that any program changes will not impact the overall security risk profile. We have also had significant positive response to our ability to frame the conversation in business terms, helping security directors and their teams engage in that business conversation. Is there anything else you’d like to add?